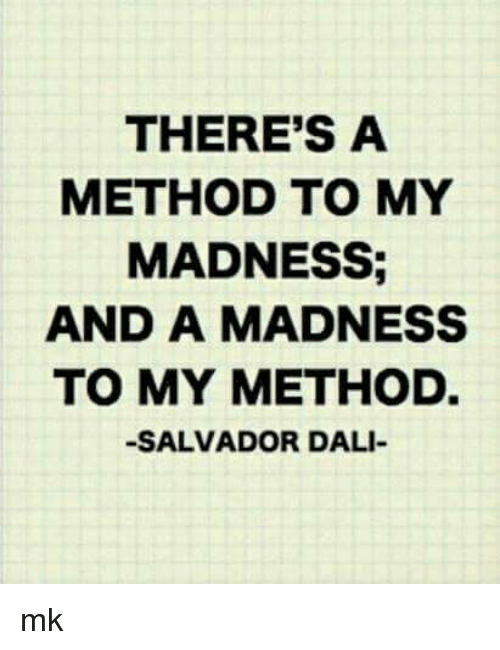 there is (a) method to (one's) madness — There is a specific, rational purpose in what one is doing or planning, even though it may seem crazy or absurd to another person. - It may sound like a great beloni, but I'd like to ask for your confidence in my knowhow believing that there is a method to my madness. - The company was initially shocked by her plan report but she showed that it had a method to her madness.